Product information "Semi di lino Diamante Illuminating Mask"
Microcrystalline Mask nourishing. Highly concentrated in karité butter nourishes and deeply restructures. The Linseed Extract facilitates the cuticles cohesion making hair exceptionally brilliant. Detangles and makes hair conditioned guaranteeing an extremely softness result. 200 g - 7.05 Oz and 500 g - 17.63 Oz. 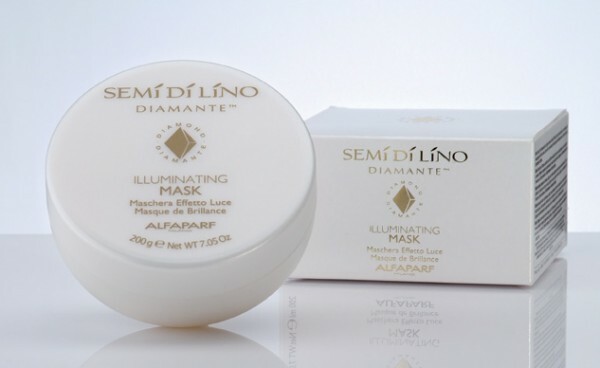 Related links to "Semi di lino Diamante Illuminating Mask"
Customer evaluation for "Semi di lino Diamante Illuminating Mask"